New Year’s Resolution—Be Bolder! Polar plungers around the globe can’t wait for freezing temperatures to turn a favorite summer swimming spot into a thrilling wintry dunk. Jump-starting a “new you” is only a local leap away. Lake of the Woods: Low, muddy reservoirs take a back seat to crisp mountain lakes and what better than fresh pine, hot pizza and frigorific waters to entice plunging at Lake of the Woods. 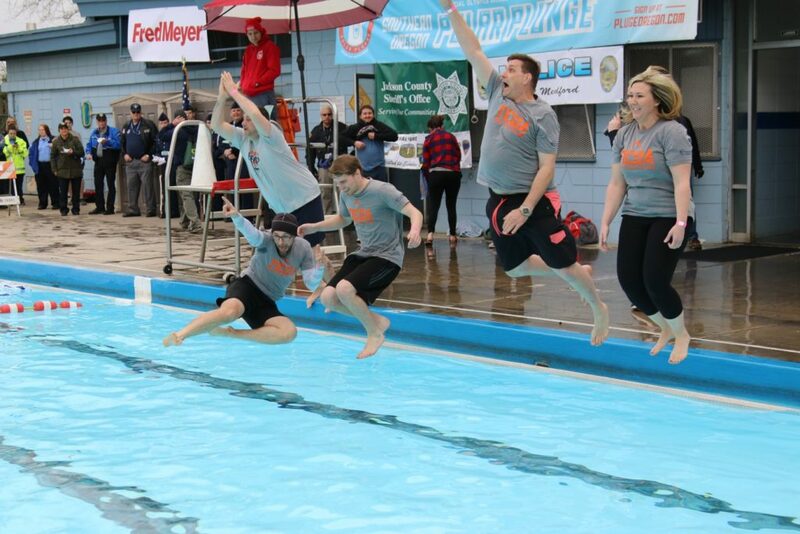 Jackson Aquatic Center: Rivers aren’t safe enough during winter conditions so why not try a harmless, and supportive, leap of goodwill into the pool at Jackson Aquatic Center in Medford for the annual “Take the Plunge Challenge” for Special Olympics in February. “We have about 2000 local athletes,” shares event manager, Kim Andresen, who took the plunge for the first time last year and admits it wasn’t as scary as she’d imagined. Each participant, she says, raises a minimum of $50 in donations to enter, which helps pay for sport equipment and travel expenses for athletes. Teams are highly encouraged, as well as costumes, and all participants—chicken or not—earn incentive gifts, and prizes are awarded in several categories. Wild plunging safety tips: Go with a group; Pack dry clothes, blankets, towels, hot beverages; Get in quickly, then get out; Breathe! Don’t hold your breath; Check with your care provider first!